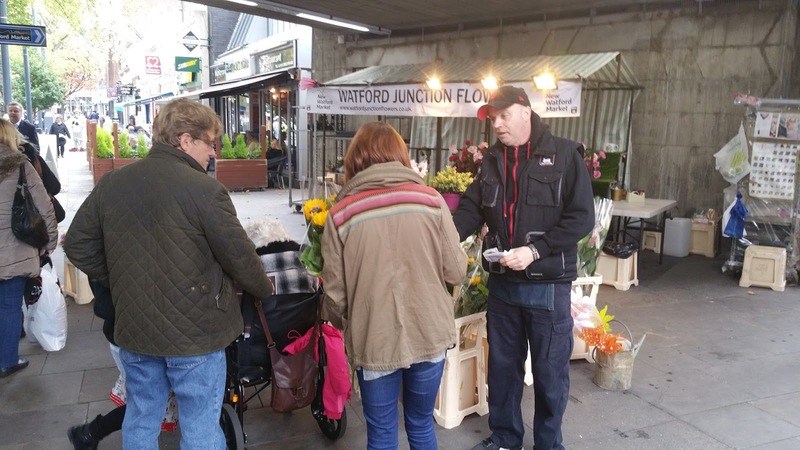 L4G South West Herts District: 1st Anniversary of New Watford Market!! ... Shhhh nobody knows! 1st Anniversary of New Watford Market!! ... Shhhh nobody knows! Watford Market, indeed hardly any of the market traders seemed to know either. A far cry from the opening day on the 10th October 2014 when one could hardly move with dignitaries and suits adorning the event. So one year on and how are things down at the Market? I'm going to be quite candid here, I actually think the market is transitioning into something positive for Watford. It's not what was planned or what was envisaged but it is steadily changing. There is yet more change to come though. Counting up the traders there's approximately 15 brave souls remaining of the original 32 that made the 200m trip up the road from Charter place. There is every indication 2 or 3 of this number won't be there after Christmas and I predict more will go before the end of the winter months. I took a video of the market as it was today, 1 year on and here is a link to the video from last year. Interesting to see the difference. There have been improvements at the market but Andrew Sparrow (Town & Country Markets) has been slow to implement many of them and we're fast approaching another winter without some protection against the elements. Good news though a sound system has been installed so Christmas carols could be on the way very soon! With yet another debacle on the arrangements for the German Christmas market, poor communications, lack of consultation, absence of loyalty for the existing traders (spending their money on pitches each week) was probably the final nail in the coffin for market manager John. John who has been popular with the traders left today and was understandably not available for me to interview. A market manager from Reading plus another regional representative from Town & Country will be covering until a suitable replacement can be found. Talking with Damion (junction flowers) and Grant (the footie store) it seems that the market will continue to evolve. 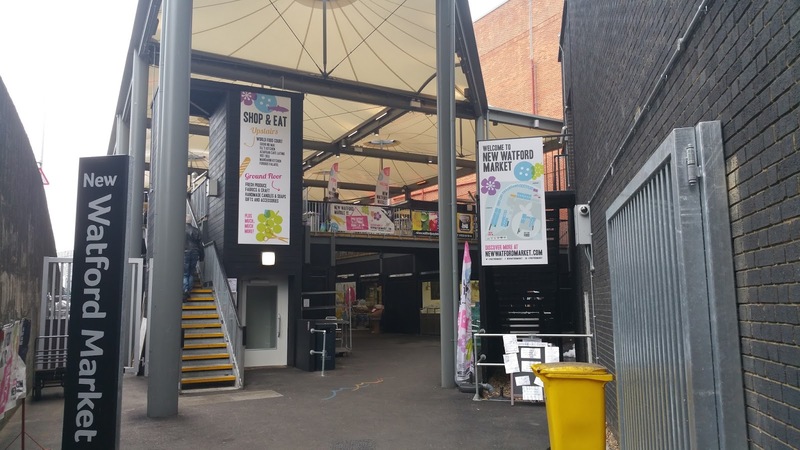 Personally (and one shared by others) I believe that the rear section of the containerised section of the market will revert to storage with the front section under the food court continuing for those that need a permanent home. 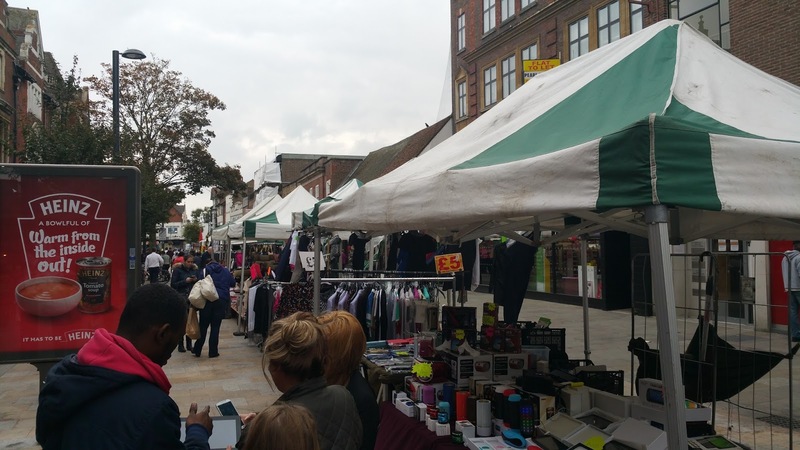 The remaining traders will fair better in the high street and with adequate storage provided at the rear of the market probably prefer to operate there either with fixed pitches or day trading options. It has certainly been a rocky first year for the market. It's contract renewal time at this moment with a number of traders looking at their options. Changes at the Market are not likely to end anytime soon, but rest assured I will keep you up to date with all the developments as they happen. Look out for another post coming soon with details of the Xmas market. Plans are available from the council and if I can download them I will be posting them as well.